Grab just one charm pack plus two neutrals and you’re ready to go! Colored triangles create a swirling 3-D effect on this modern and contemporary project! 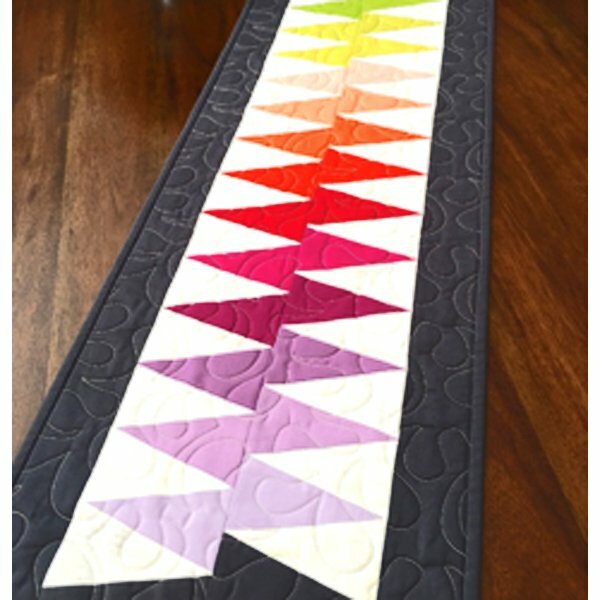 With Linda's guidance, this workshop gives beginners and advanced piecers the opportunity to perfect their 1/4" seam and fine tune piecing skills while creating this fun table runner. Note: Taking a Sunday class? Even though the store opens at 11, the quilt side shop door will be open approx. 1/2 hour before the start of class. Come on in!